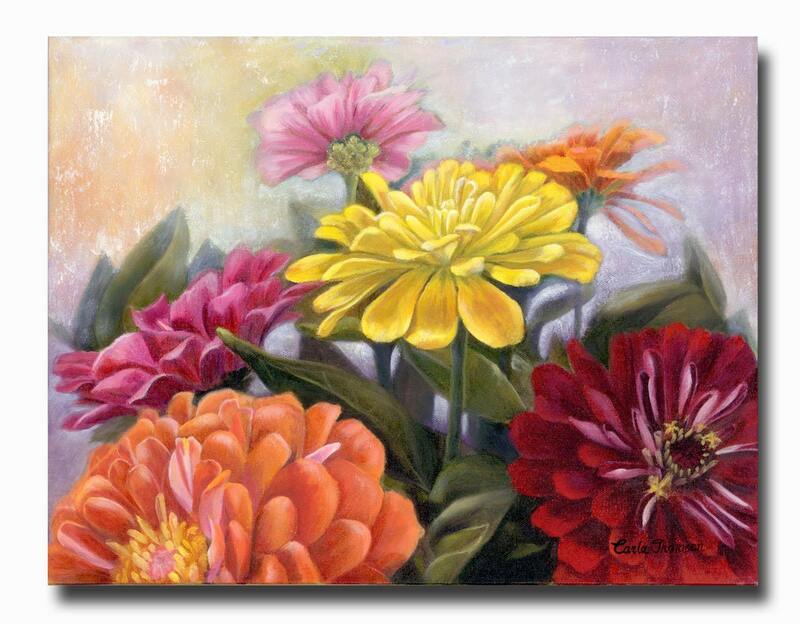 An original painting in oil of colorful zinnia flowers on 100% cotton canvas, framed, ready to hang and make a stunning addition to your home of office decor. 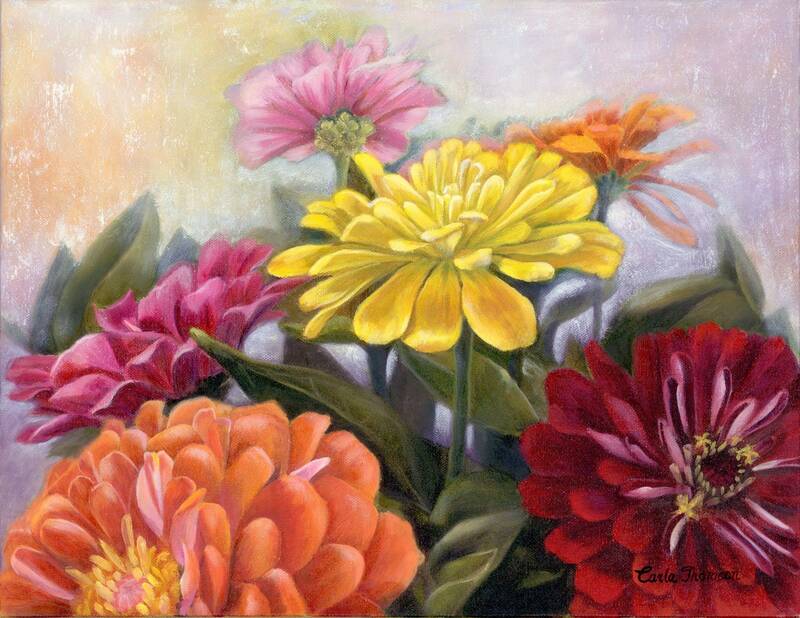 I love zinnias! 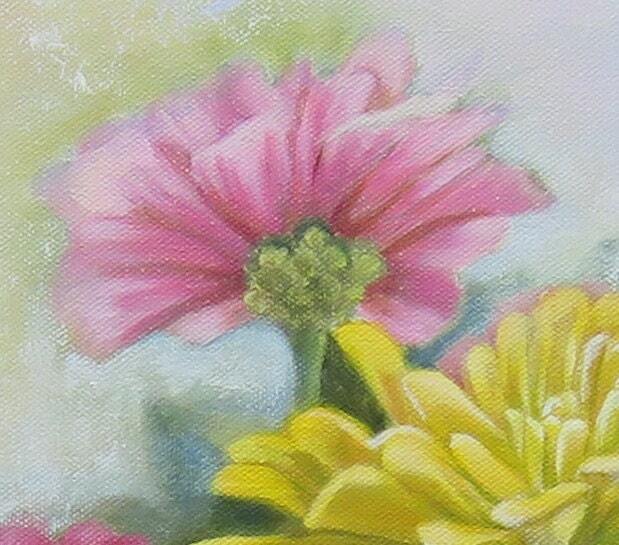 They are some of the most vibrant flowers to grow and to paint. Their bright array of color make them such a beautiful addition to my garden. It has always amazed me that such different bursts of shades and color can exist on a single petal, let alone the entire flower! My oldest daughter teases me about by fascination with color - whether it's putting together the perfect bouquet for my kitchen table, or when we're out shopping and I get distracted by a bright handbag display! 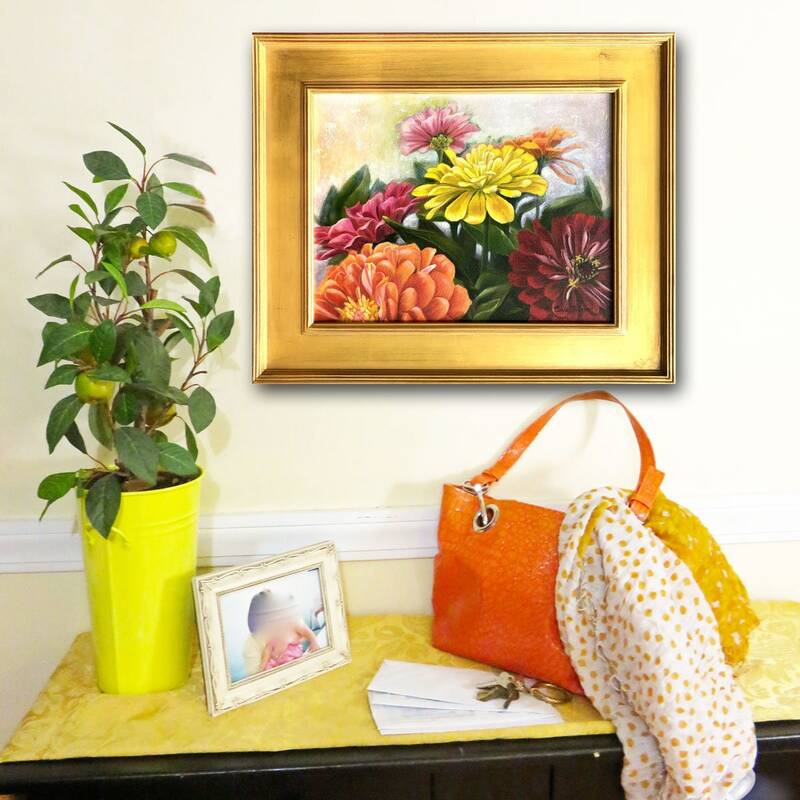 This painting would be the perfect gift for any lover of color and would serve to brighten up any living space. Don't like the frame? No problem! 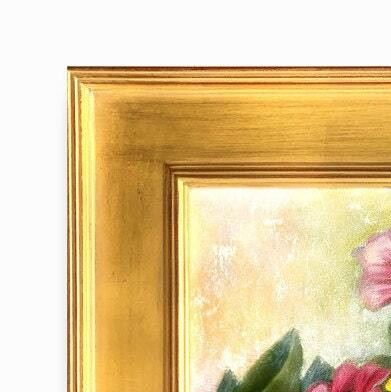 Simply add a note in your order to remove the frame. The artwork will ship UNFRAMED and I will manually process a refund to you for the cost of the frame. 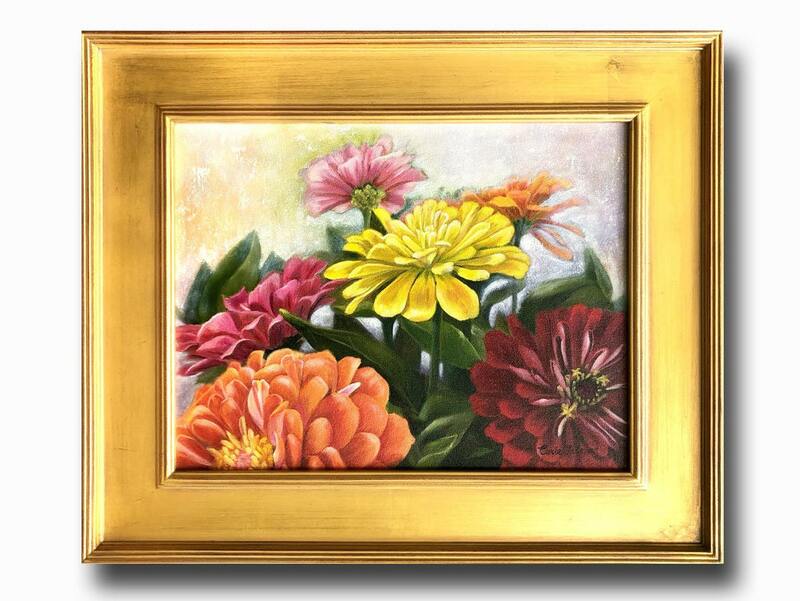 As framed with gold leaf fame dimensions are approximately 20"x24"
Ready to hang with hanging hardware secured. NEED A DIFFERENT SIZE, PRICE? ... see additional listings offering this painting as a PRINT. Convo me with questions I'm happy to answer!